Comment: Former Library book. Great condition for a used book! Minimal wear. 100% Money Back Guarantee. Shipped to over one million happy customers. What is your purpose? This is probably the single most important question you can ask yourself and the answer will shape your future. However, it's not always straightforward. We are led to believe that our purpose is connected with how much we achieve, the accumulation of possessions, or attaining status in society. Nothing could be further from the truth. 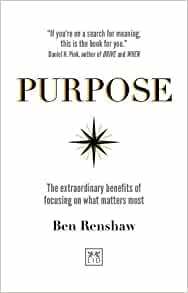 In Purpose, thought leader Ben Renshaw provides the guidance and tools required to discover and lead with real purpose. As the author of eight books, who has helped many companies and leaders make a transformation in their working lives from Coca Cola to Heathrow, IHG, Sainsbury s Argos and more, Renshaw gives compelling insight into purposeful leadership at a deep and intuitive level. What if you had an internal compass guiding your decision making? What if you were clear about your big why giving you a compelling reason for doing what you do? What if you were in touch with the meeting point between your passion and talent. This is what your purpose offers. When you are on purpose, you unlock the necessary skill-set to fulfil your leadership potential and thrive in today s complex and disruptive world. Start reading Purpose on your Kindle in under a minute. Ben Renshaw is one of today s foremost leadership thinkers. 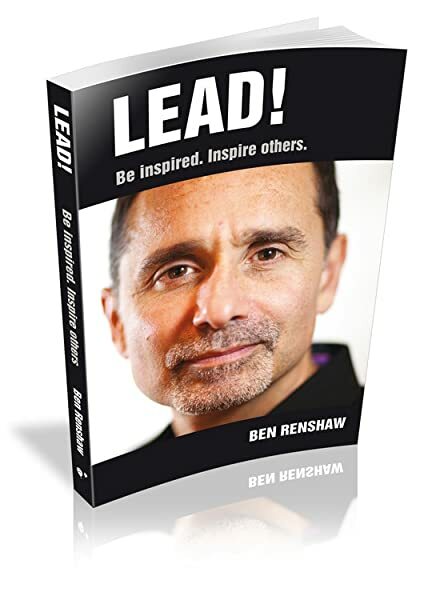 Speaker, coach and author of eight books, Ben s innovative work with leading organizations, senior executives and entrepreneurs has brought him international acclaim. Formerly a classical violinist, Ben plays a different tune getting the best out of people. He believes that everyone has a purpose and that to discover and lead with purpose is the greatest opportunity in life. Ben partners with leaders and organizations focused on how to be purpose-led. Ben s signature programmes include Leading with Purpose , Coaching2Lead , Leading Sustainable Growth , Authentic Leadership , Connected Leadership and Agile Leadership . He writes about how to lead and be successful in today s volatile world with popular books: Successful But Something Missing, Super Coaching and LEAD! He spends time with clients like Allen & Overy, Boots, BT, Cadbury, Coca-Cola, Heathrow, Heinz, Henley Partnership, IHG®, Sainsbury s Argos, M&S, Nationwide, NATS, NHS, P&G, Rolls Royce, SSE, Sky, TFL, UBS, Unilever, Virgin Media and Zurich. 5.0 out of 5 starsUnlock the stalemate! An incredible life changing read... stuck in a rut even if you and your team are doing wonderful things? this book and the teachings of Ben will help you unlock the possible stalemate you are in... highly recommended !